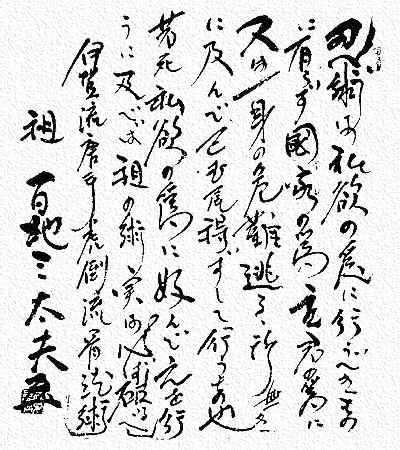 Calligraphy above is a quote from Momochi Sandayu on the essence of true ninjutsu. Momochi Sandayu is said to be one of the three greatest Iga ninja of all time and at one time was Soke (grandmaster / headmaster) of the Momochi-ryu, Gyokko-ryu & Koto-ryu. I hope that you all enjoyed the lesson! Anshu Christa Jacobson is the headmistress of the Budo Ryu Ninjutsu Dojo. In 2007 she started the Shinobi Magazine as well as developed one of the most complete online stores for ninjutsu products called the Ninjutsu Super Store. Over the years she has become one of the most popular ninjutsu teachers on the internet amassing thousands of followers on the Anshu Christa Jacobson Facebook Fanpage as well as the Anshu Christa Jacobson Youtube Channel. Lately she has dedicated her time to updated the Budo Ryu Online University taking her teachings digitally online to help spread the teachings ofthe ninja and Samurai Bujutsu to the world. There are many forms of social networking that has been developed so that one can follow Anshu Christa Jacobson headmistress of the Budo Ryu Ninjutsu Dojo and 21st Soke of the Tomo ryu Shinobi Tradition. BUDO RYU – COMBAT NINPO TAIJUTSU – DVD VIDEO FOR SALE! BUDO RYU COMBAT NINPO TAIJUTSU DVD SERIES! REAL SELF PROTECTION – MODERN APPLICATION DRILLS! Learn how to take these old fighting methods from the 7 warrior traditions of the Budo Ryu and place application do them! No just theory, but reality! Watch as the old fighting methods and kata come alive in the Budo Ryu Combat Ninpo Taijutsu DVD Series! BUDO RYU COMBAT NINPO TAIJUTSU DVD SERIES HERE! In May of 2011 Anshu Christa Jacobson visited the Budo Ryu Michigan school to help the students train in the curriculum of the Budo Ryu – School of War. In this training session the traditions of Koka Ryu Kempo, Tenjin Ryu Jujutsu, Gyokko Ryu Kosshijutsu and Koto Ryu Koppojutsu were the areas that was trained in. The Budo Ryu Michigan Shinobi Den is located in Imlay, Michigan and is under the direction of Sensei Jose Delgado. The BudoRyu trains in all areas of traditional Japanese bujutsu (old Japanese fighting arts). This includes hand to hand combat, grappling, ground fighting, all traditional weapons of the ninja and samurai, modern weapon applications and tactics, self-defense, self-protection, survival skills as well as mental and emotional conditioning. Picture Above: Group Photo with myself and my assistant (Mr. Chafin) as well as My personal student Mr. Delgado (head instructor of the Budo Ryu Michigan) and his two assistants Mr. Brinley and Mr. Meyer. 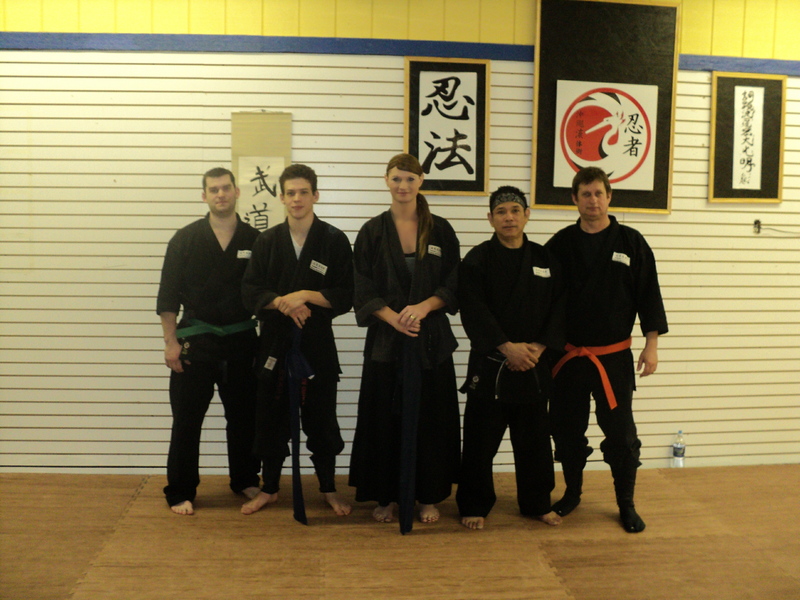 In May of 2011 I took a trip to Michigan to visit the Budo Ryu Michigan Shinobi-Den. This is a Budo Ryu School that is ran by one of my personal students Mr. Jose Delgado. While at the workshop, there were people that came in and out at different times, some from different schools of training such as Aikido, Karate and Jujutsu. During this training session, I wanted to stress the true meaning, of the Budo Ryu methods and the essence of real Budo. Everyone had a great time, and trained hard. Some of the things that we covered was, Gyokko Ryu Kosshijutsu with the Sanshin no Kata and the Kihon Happo. Koto Ryu Koppojutsu with various kata from the Shoden Gata. Tomo Ryu Shinobijutsu kata as well as training from the Taijutsu Kimi Ugoki. Tenjin Ryu Jujutsu as well as Koka Ryu Kempo hand to hand fighting technques and concepts. All of the students did a great job and I am honored to have Mr. Delgado as a student as his heart is in the right place and helps all that wants to learn the real essence of the Budo Ryu – School of War. I hope that you all enjoy today’s Post! Good Luck in your Journey of Budo. The Budo Ryu held a Koto Ryu Koppojutsu kuden event in February of 2011. This is some of the training that we went over during that seminar. 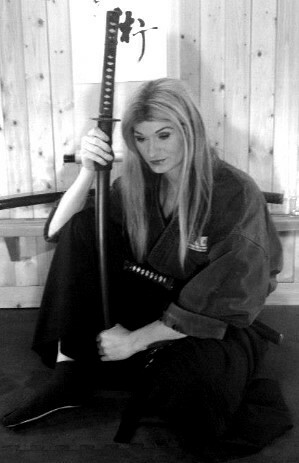 Headmistress of the Budo Ryu – School of War.